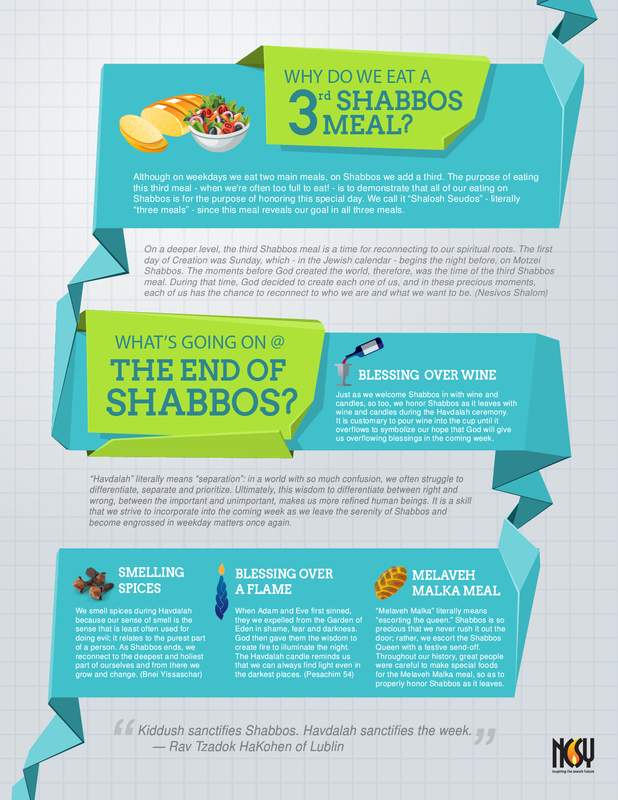 » What’s Going On @ The Shabbos Table? As Jews worldwide unite through the Shabbos Project, it’s an good time to pause and reflect on why we perform the same Shabbos customs week after week. 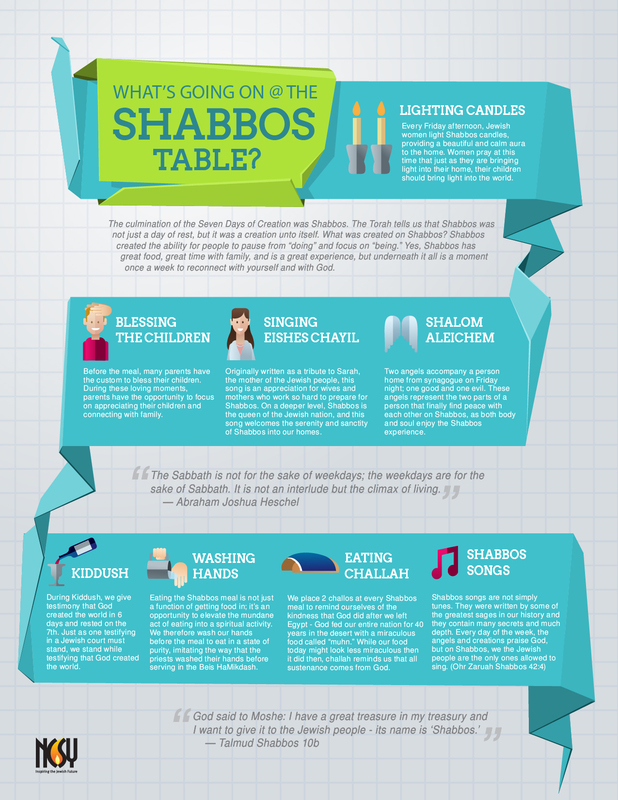 What’s the deeper meaning behind the Shabbos candles? Why do we eat three meals – wouldn’t two meals be enough? What does singing “Eishes Chayil” have to do with Shabbos? Why do we smell spices after Shabbos ends? Take a look at this infographic and see if you learn something new, or gain a deeper insight into things you’ve heard in the past.